Many of my friends went to see Lady Gaga in concert last night. Many more of them wished they could have seen Lady Gaga in concert last night. I hate that stupid Alejandro song, but otherwise I have enjoyed her music and the fact that she dresses like a Hayao Miyazaki movie on crack. But then I discovered something sinister that no one seems to have picked up on…..
Ruby and I love to play Wii together. She holds her controller right side up at least 30% of them time and if I make sure to kill all the bad guys before they get to her, sometimes she can even get to the ends of levels by herself. Her favorite game to play is the New Super Mario Brothers for the Wii. She is always the blue toad and I am always Mario, and when someone else plays with us, they have to be “Buh-weejee.” The point of this game is to save the princess from Bowser and his evil children. This is where the scary part comes in. Hold on to your hats. 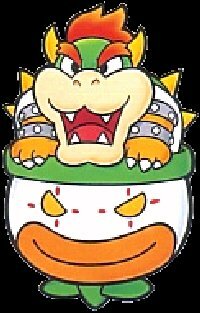 I’m pretty sure that Bowser is Lady Gaga’s father, and that her whole rise to fame and pop superstardom is only part of an elaborate plan to keep Mario from rescuing Princess Peach. Posted in Lady Gaga, Photo, Super Mario, Wii. Wow, you are so astute…..very funny!